Many people ask me about strains, what’s the best one to try, how they work and so on. It’s a very individual thing, how cannabis reacts to the receptors in our body is unique. 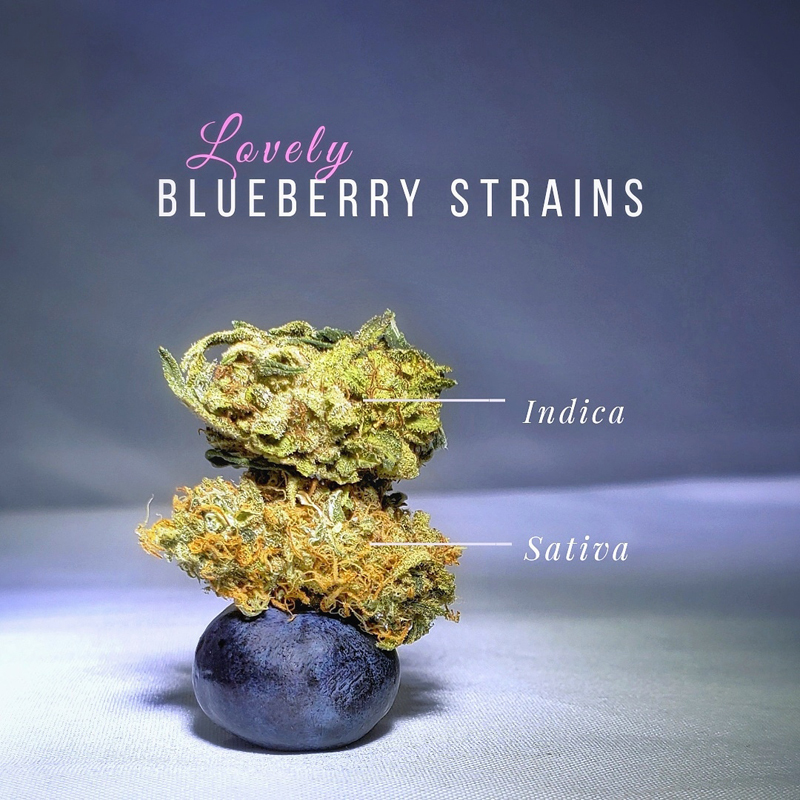 However, if we’re talking about terpenes, the most gorgeous terpenes can be found in blueberry strains. Terpenes are the essential oils of the cannabis plant, the terpenes gives each strain it’s unique flavour and aroma profile (they also have an effect how a cannabis strain feels). Some- mainly sativas, (when vaporized) taste just like the essence of a sweet, summer blueberry. My personal favourite blueberry strain is blue dream, (pictured sunshine blue dream from The Village Bloomery in Vancouver, B.C) A versatile strain that tends to do well for many people. It’s uplifting and great for creativity and intimacy. Indica blueberry strains tend to have a more earthy, grassy taste, more like the soil it was grown in, with a hint of blueberry (pictured is blue moonshine also from The Village Bloomery). Also uplifting but more relaxing with nice pain relieving properties. When pairing terpenes you want to choose subtle flavours, food and drink that have a gentle lavender and/or blueberry flavour will go nicely will blueberry strains. A subtle mint flavour, I’ve found, often enhances the flavour of terpenes, a peppermint tea or berry tea with a mint leaf would pair nicely, also chewing on a fresh mint leaf might also elevate the lavender and blueberry notes from blue strains. Visit our page on terpenes and vaporizing to learn more.